An official associated with China’s organ donation system has been sentenced for corruption. 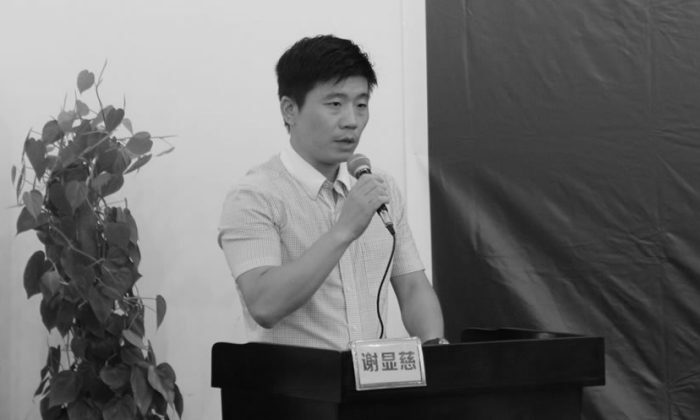 Xie Xianci, deputy director of the organ donation management center in southeastern China’s Jiangxi Province was sentenced by the People’s Court in Qingyunpu District, located in the Jiangxi capital of Nanchang City. Xie was sentenced to two-years imprisonment, with reprieve for two years and six months, and a fine of 100,000 yuan (about $15,700), according to state-run newspaper The Paper. He was charged for accepting bribes totaling 712,500 yuan (about $111,890), including from Jiangxi Provincial People’s Hospital, the First Affiliated Hospital of Nanchang University, and the Second Affiliated Hospital of Nanchang University. In return for the bribes, Xie used his position to “assist hospitals in procuring donated organs for transplantation,” as well as getting the necessary donation documents. For example, at the First Affiliated Hospital of Nanchang University, Xie was paid 10,000 yuan ($1,570) for every transplant surgery carried out at the hospital. According to The Paper, Jiangxi’s organ donation management system was established in June 2015. Xie was arrested in November the following year. The sentencing was issued in December 2017, but the official document about his sentencing was only recently made available online, according to The Paper. It is unclear how Xie was able to more conveniently obtain donated organs after being bribed, or whether other hospitals have to wait longer for donated organs if they did not bribe Xie. However, the three hospitals that Xie received bribes from share a similarity—they have been named by the World Organization to Investigate the Persecution of Falun Gong (WOIPFG), a U.S.-based NGO, for their roles in forcibly harvesting organs from adherents of the Falun Gong spiritual practice. More specifically, nine doctors at the Jiangxi Provincial People’s Hospital, 17 doctors at the First Affiliated Hospital of Nanchang University, and seven doctors at the Second Affiliated Hospital of Nanchang University, have been named by WOIPFG for their involvement in forced organ harvesting. Falun Gong, also known as Falun Dafa, is an ancient spiritual practice with meditative exercises and moral teachings. The practice grew popular in China during the 1990s, growing to around 100 million adherents by 1999, according to several Western media outlets quoting Chinese officials. Then-Communist Party leader Jiang Zemin feared its popularity would undermine the Party’s authority and launched a nationwide campaign on July 20, 1999, to eradicate the practice. Jiang mobilized the state’s security apparatus to arrest and detain practitioners, where they are tortured and sometimes, killed. More than 4,000 practitioners are confirmed to have died as a result of torture and abuse while in custody, although the real number is believed to be much higher, due to the difficulty of getting information out of China, according to the Falun Dafa Information Center, the group’s press office. China’s organ transplant industry came under international scrutiny after extensive investigations by human rights lawyer David Matas and former Canadian Secretary of State for the Asia-Pacific region, David Kilgour, where they concluded that the Chinese regime has systematically harvested organs from prisoners of conscience, including Falun Gong adherents. Those who have their organs forcibly harvested die in the process. International condemnation eventually pressured the Chinese regime to promise reforms, including by establishing an organ donation system—the China Organ Transplant Response System (COTRS)—in 2013. However, news reports have emerged that patients visiting China for transplant surgery can still find matching organs within just days and weeks. Meanwhile, China has not enacted any regulations expressly prohibiting the procurement of organs from prisoners. Medical experts and government groups have expressed concerns that reforms have not truly taken place. In April, the U.K. Parliament held a hearing on organ harvesting in China, which cited experts who found that the practice of for-profit forced organ harvesting from prisoners of conscience exists on an “industrial” scale.